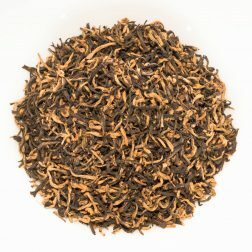 An exceptionally smooth black tea from western Georgia. The very dark twisted leaves have a slight malty scent and produce a medium strength liquor. The flavour is superbly balanced, also malty, with zesty and stony notes. 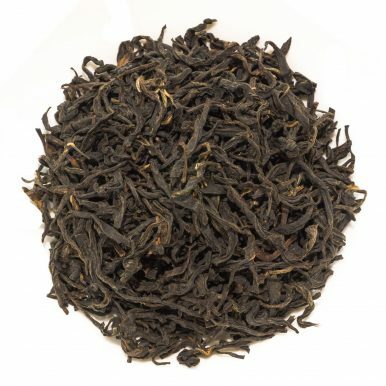 This Nagobilevi Black tea is a great example of a unique Georgian practice, with just a small amount of people hand processing the whole output of Nagobilevi village. Georgian black tea was well-known in the Soviet Union but since it’s breakup and independence of Georgia, tea growing was in steep decline during the 1990’s. 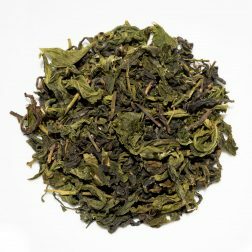 Recently though both Georgian black tea and Georgian green tea have been undergoing a renaissance and have gained worldwide recognition. 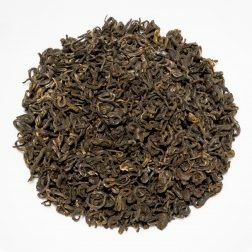 Tea was first smuggled out of China and grown in Georgia in the 1830s and grew well in the sub-tropical parts of the country. It is said that during the Soviet era, most of Georgia’s tea was sent to Russia, with the locals having to illegally take small amounts for themselves and process them by hand at home. As in China, each village came up with its own style and this was passed down as family traditions. 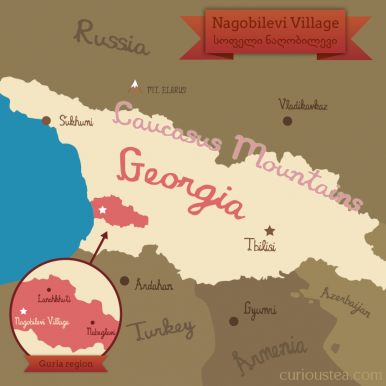 Nagobilevi village, situated in the western Guria region, is no exception to this. So this particular Nagobilevi village black tea is very unique and specific to this locale. 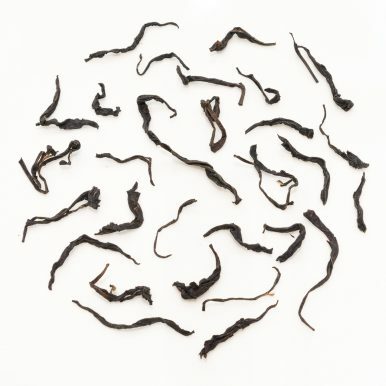 The Nagobilevi Black tea possesses very dark and twisted leaves that produce a reddish-brown liquor with a stony and malty aroma. 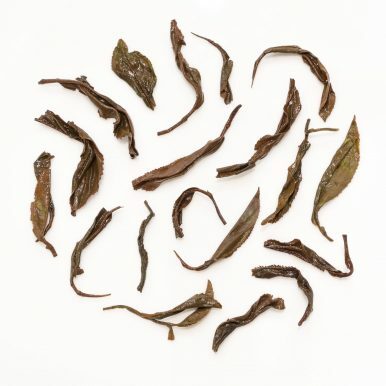 The taste is medium strength and surprisingly smooth and balanced for such a dark leaf. 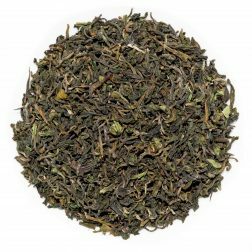 Like the Indian cousins of this tea, there is a definite malty and stony flavour, but it is complemented by its own distinctive sweet and zesty dimension. It is best brewed with water at 90°C for 4-5 minutes. 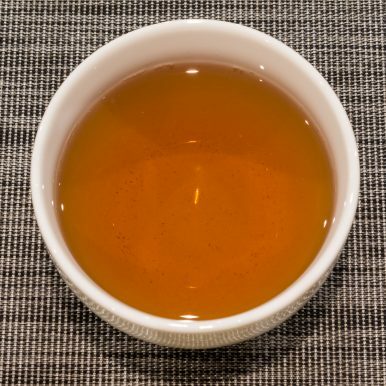 If you prefer your tea stronger, you can increase the water temperature and/or brewing time. 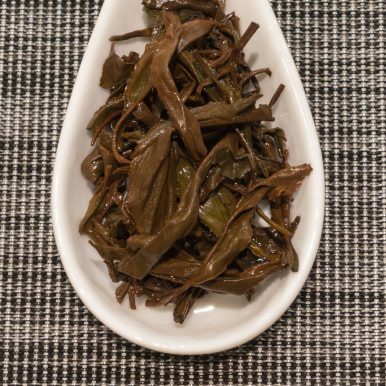 This Georgian Nagobilevi Black tea was first featured in our April 2016 Curious Tea Subscription Boxes.